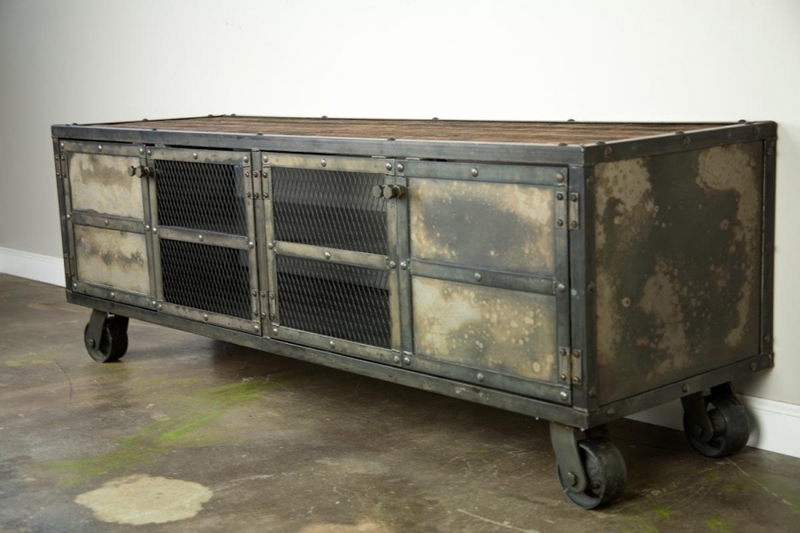 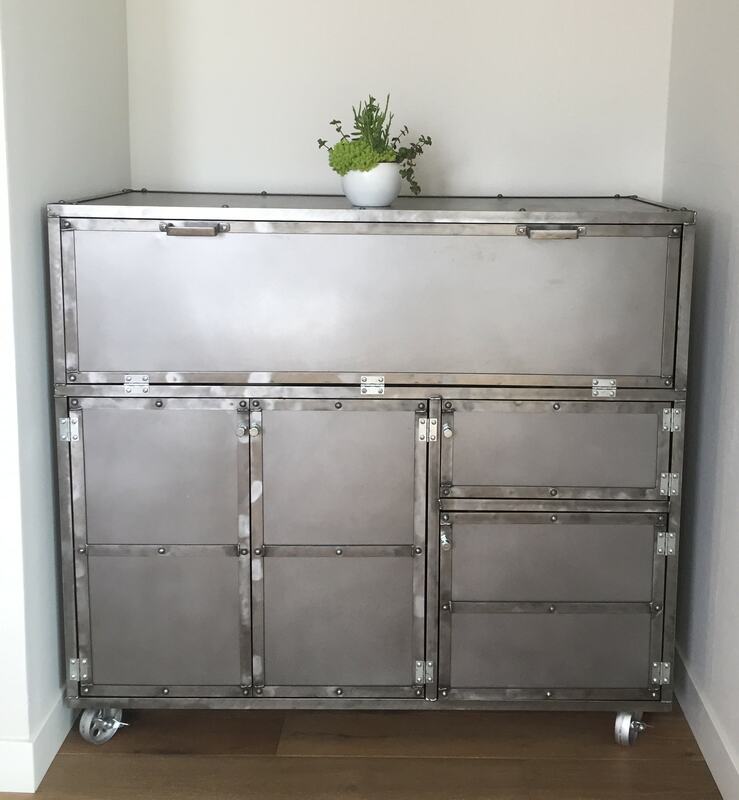 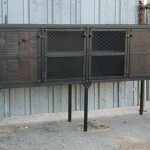 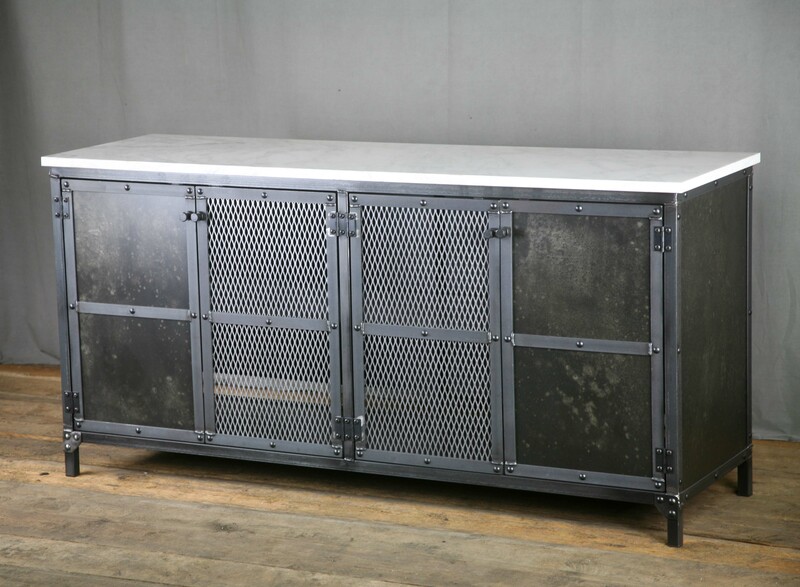 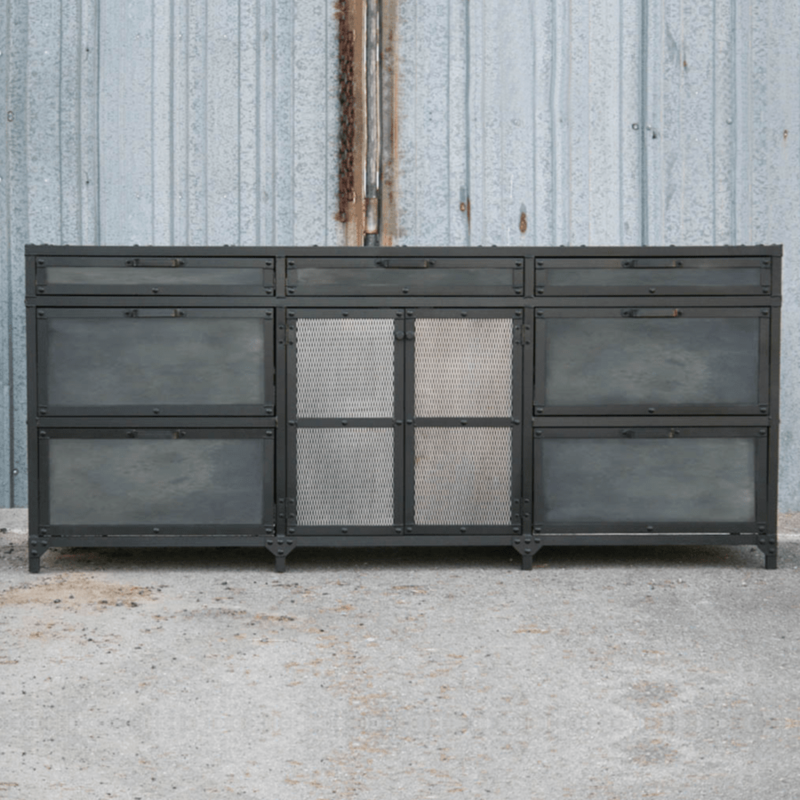 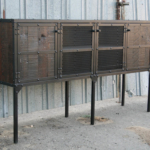 This particular piece is an industrial style, rustic buffet (or sideboard) It would also function as a Media Console or TV Stand. 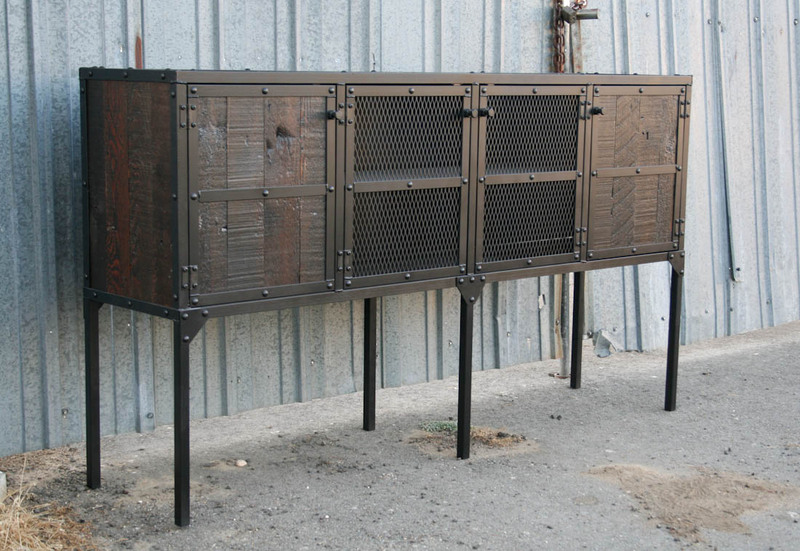 It can be made in any size you need, but this one is 69” W x 18” D x 39” H.
Each piece is handmade and can be customized to fit your needs. 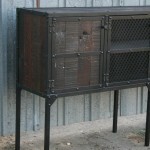 This one has been made of a beautiful distressed reclaimed wood (but could also be made with steel). 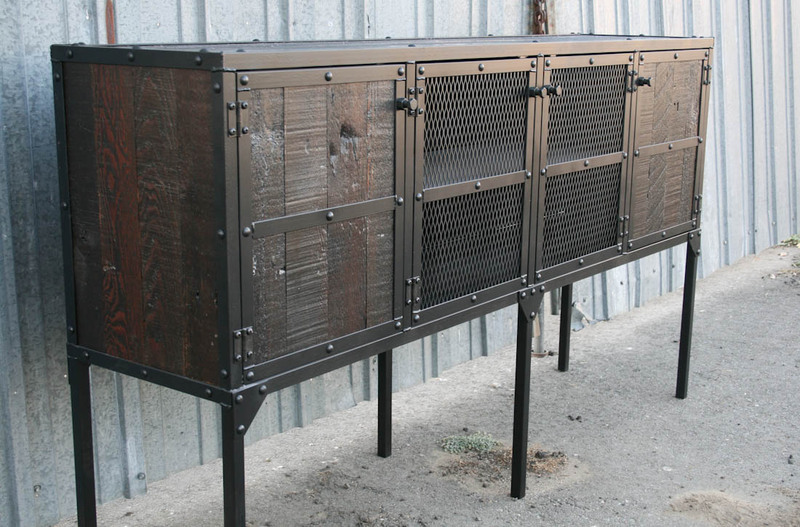 We have several different types of reclaimed wood and will always have shades of light, dark and one in between. 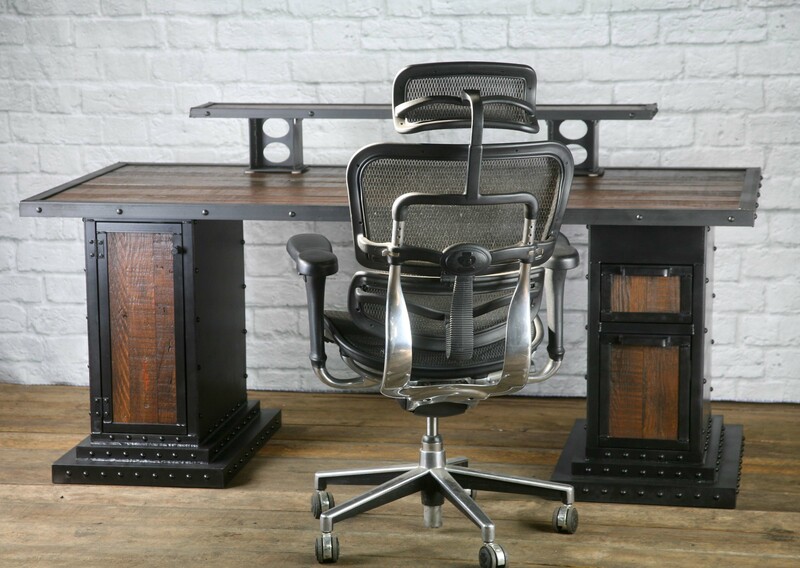 We also sometimes have wood that has been reclaimed from historical places, but this wood is rare and adds to the price (please inquire for current stock). 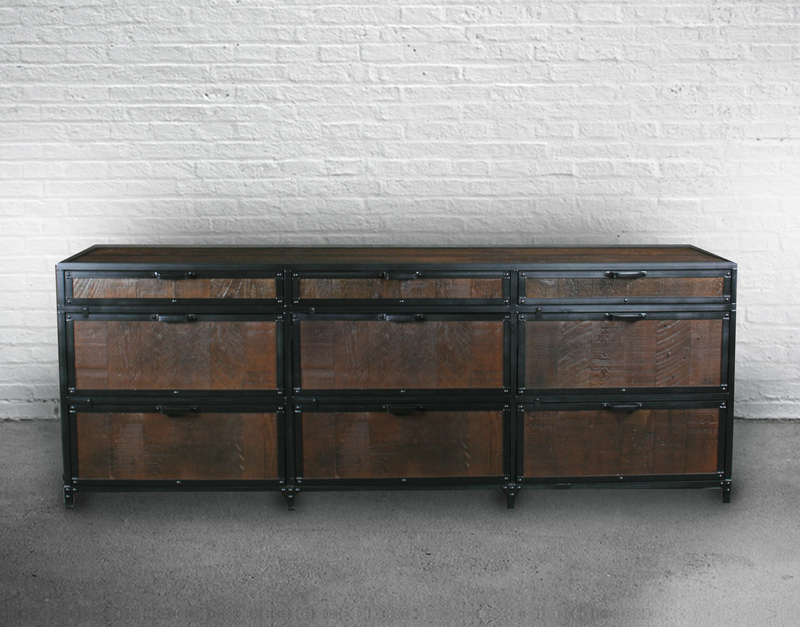 If you like this style, but would like one with a lighter, or darker wood, just let us know. 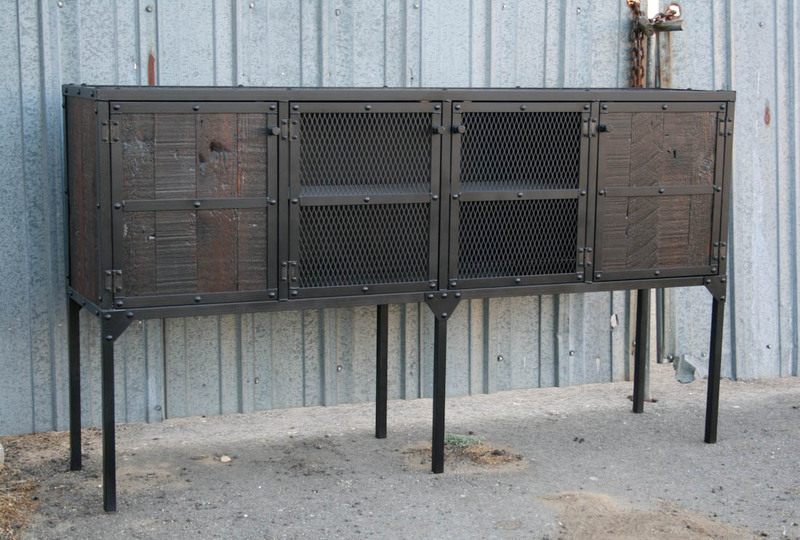 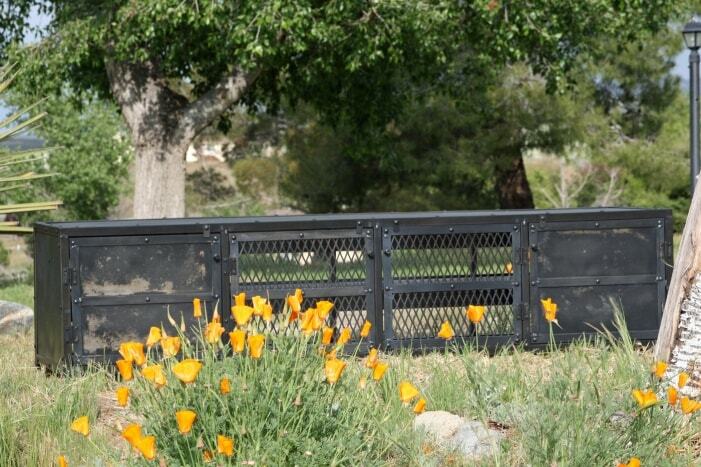 The steel can be done any color you like, too. 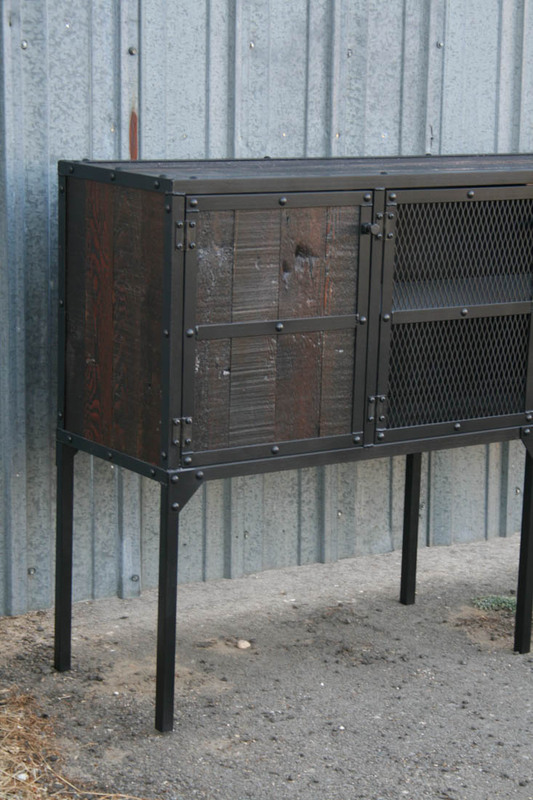 The piece includes a full back (please let me know if you would like to make any changes). 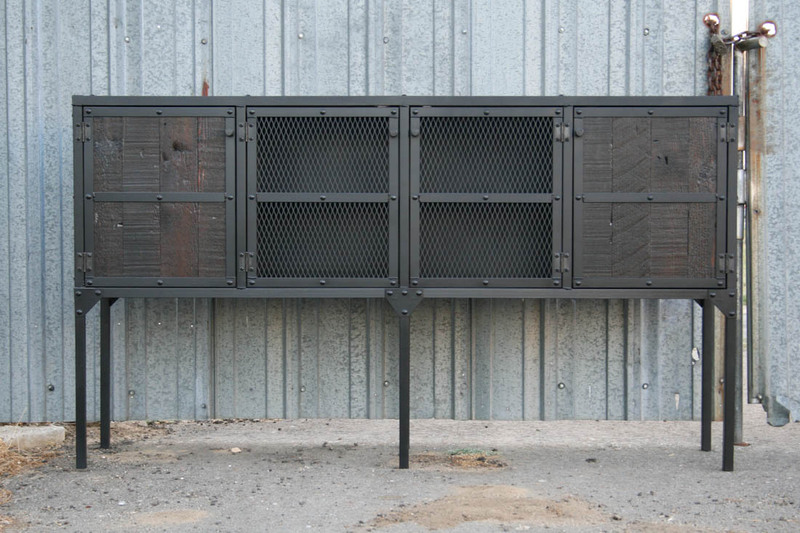 The interior of the cabinet features a fixed center shelf perfect for all your storage needs. 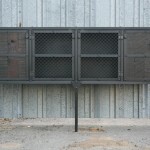 This one has 4 doors of which two have made with reclaimed wood, and two are mesh. 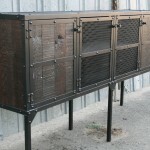 It could also be made of solid steel, all mesh, or all wood.